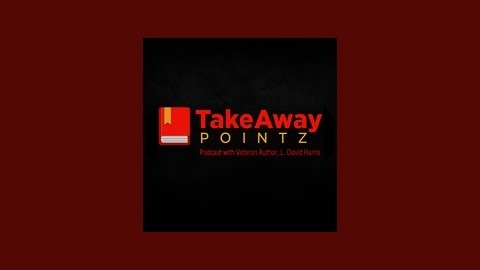 The TakeAway Pointz™ Podcast is a short program every Wednesday dedicated to summary and analysis of some of your favorite books written primarily by bestselling authors, but also including new and independent authors. This program is an outgrowth of the TakeAway Pointz™ series of books written by veteran author, L. David Harris, wherein he highlights, summarizes, and analyzes noteworthy elements of books written by bestselling authors in various genres. While the book series captures thoughts from each chapter of a given book, this podcast briefly highlights hidden gems from only portions of them. Think of it as a sort of CliffsNotes® meets Reader's Digest®, meets audio editorial mashup. Enjoy! Note: TakeAway Pointz™ abides by all applicable copyright laws and thus never quotes from, reads, or otherwise creates derivative works of books being discussed. CliffsNotes® and Reader's Digest® are registered trademarks of their respective owners, and TakeAway Pointz™ is in no way affiliated. 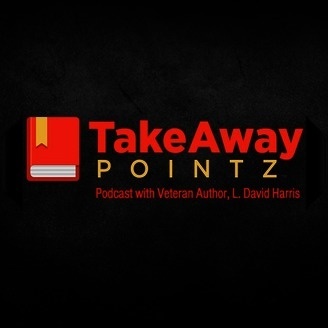 This is episode 14 of TakeAway Pointz™ with L. David Harris where we mine for precious hidden gems from some of your favorite books.